Monday: Make cakes. This will keep little hands busy for an hour or two, and then you’ve got sweet bribery equipment for the rest of the week! Tuesday: Make a den. All you need are some chairs and a few old sheets. Use the space for a teddy bear’s picnic, or take books inside for a cosy reading room. Wednesday: Netflix & chil(dren). Set up a movie club in your front room. Be as elaborate as you want: draw the curtains and use a torch to show the kids to the couch, print some fake tickets and put together snack bags. Thursday: Plant herbs and veg. Kids are great at sowing seeds, and will love monitoring their progress over the weeks. If you don’t have any outdoor space, you could plant some herbs for the window ledge. Friday: Scrapbooking. Make use of the hundreds of photos you took on your phone this week (don’t deny it!). Print them out and create an Easter scrapbook to relive the best bits together. Kids can choose the order of the photos, and create their own captions. Saturday/Sunday: Get organised in advance and order your Weekend Box. 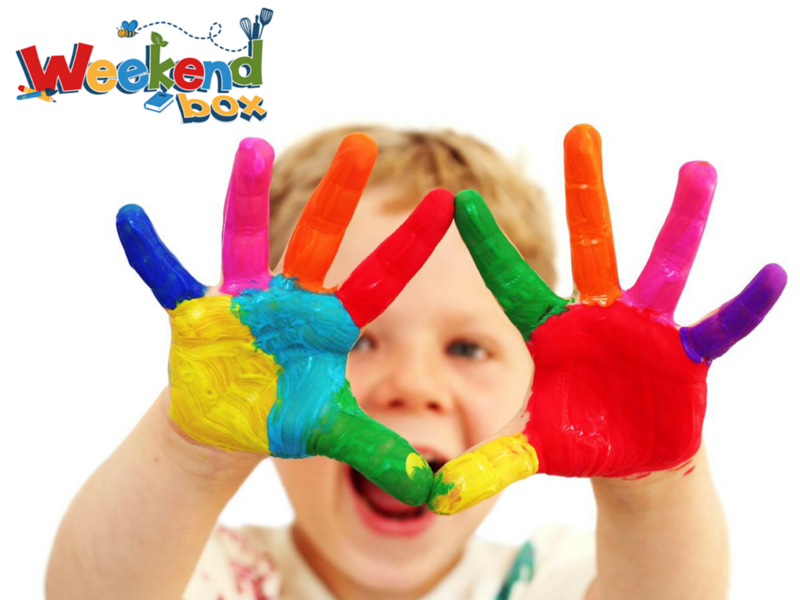 This box will provide some ready-made crafty fun, and is a great way to spend quality time with the kids. Don’t worry if you aren’t Pinterest-ready, step-by-step instructions are provided to guide you through each activity with the ease of a Blue Peter presenter. For a limited time, you can try one of these fab boxes for free. Enter your email address to receive our newsletter and exclusive special offers.